With an aim to offer cost-effective and quality education for the inclusive development of society in the state of Jharkhand, the Usha Martin University (UMU) was initiated in the capital state of Jharkhand, Ranchi. The UMU is a UGC recognized self-financing private university, which has been granted the membership of the Association of Indian Universities (AIU). Since its establishment, the university has been displaying persistent efforts in educating the young force of the state and making them competent employable professionals. 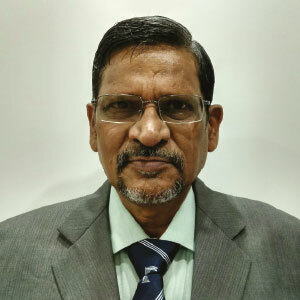 Prof. S.C. Garg, Vice-Chancellor, Usha Martin University, says, "Jharkhand is a land of unlimited opportunities, the only task we are anticipated to do is to put the needed toil in the sphere of higher education and eliminate the stereotype notions attached with the Jharkhand education scenario." The university is placed in a serene campus that consists of all the latest science labs, both physical and electronic library, 24x7 WiFi and so on. The university is young and is committed to breaking the goals set by the management. Given this adherence, the University has been awarded "Best Upcoming University in Jharkhand" during the mega educational event "National Education Excellence Award 2017". The UMU is keenly concerned with the skill quotient of the country and is determined to join the Government efforts of Skill India through offering prospective programmes in the coming years. The University covers multiple courses classified into the Diploma, Undergraduate, Postgraduate, and Integrated programmes including the doctorate and M.Phil degree. While the UG degree comprises of three streams, namely arts, science, and commerce with a different choice of honors, on the other hand, under the PG degree, MBA and MCA are offered to students with functional specializations. "We comprehend that a Diploma programme allows the aspirants to acquire training in a particular discipline without spending much time and also helps to add credentials in their resume. Hence we have introduced short-term diplomas in five subjects viz. Medical Laboratory Techniques, Civil Engineering, Mechanical Engineering, Mining Engineering and Electrical Engineering," opines Prof. Garg. There is also a team of career expert in the campus that is accountable to guide all those seeking admissions in the University that annually enrolls about 250 students and make sure that the learners choose programmes according to their interest, capabilities, and aptitude so that they can successfully complete them in minimum time and face the world of work with well-acquired competencies. On the flip side, the course- curriculum is regularly examined by the quality assurance committee that meets once each semester to assess variances and gaps and to ensure corrective action. "Precise priority is given upon the relevance of the contents and the emerging developments happening coupled with the immediate industry needs," pinpoints Prof. Garg. However, the delivery of the course is aptly performed by the qualified and experienced faculty members who frequently keep themselves updated with the new models of teaching. Several initiatives have been undertaken to transmit the course in the most innovative manner. "While theory renders the underpinning knowledge, it's vital to acquire the practical knowledge and techniques as well. Therefore, we involve our students in learning by experiencing as hands-on-training today is the key to success," states Prof. Garg. The university is keenly concerned with the skill quotient of the country and is determined to join the Government efforts of Skill India through offering prospective programmes in the coming years. Prof. Garg adds, "Under the Skills development programme of the Government of Jharkhand and TISS, we are also planning to implement the yearlong co-curricular programme focused on learner employability. The education scenario of the Jharkhand state is not hidden to anyone in the nation. In this regard, the establishment of UMU has been proved as a boon to the state. With firm faith in the dictum of quality being the only guarantee of long-term sustainability, the university abides by to focus on rural transformation and social entrepreneurship. "All the members of the University are well-aware of the fact that UMU is here to take this society from stagnation and poverty to dynamism and prosperity, from marginalization and deprivation to empowerment through disseminating education," claims Prof. Garg. The university is envisioned to usher considerable innovation and research activities among the students so that the students can take up live projects connected with a particular issue of the society which in turn will benefit the community at the large. The students of UMU after all the good morals instilled in them through these projects further acquire greater confidence and skills to work in unfamiliar environments and across cultural differences. "In the next few years, we hope to not only effectively stem the tide of migration of quality higher education aspirants from the state, but also become a powerful pull for aspirants from other states by positioning ourselves as providers of highly employment oriented and livelihood enabling education that anchors the values of ethics, sustainability and national commitment," concludes Prof. Garg. An eminent Professor of Physics, Prof. S.C. Garg is the present Vice-Chancellor of Usha Martin University. He has over 40 years of experience in teaching and research in teaching anFd research at the well-known institution in India and overseas.